ESET LiveGrid® is a preventative system that gathers information about threats from ESET users around the world. The LiveGrid® database contains reputation information about potential threats, detects and blocks recently introduced threats making it highly effective against rapidly changing threats. ESET's in-house machine learning engine uses the combined power of neural networks (deep learning and long short-term memory) and handpicked algorithms to generate a consolidated output and correctly label incoming samples as clean, potentially unwanted or malicious. 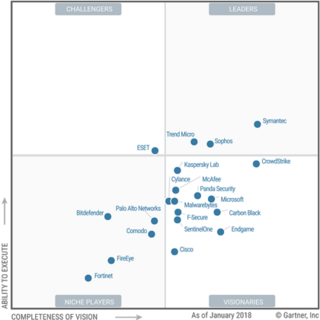 Our World-class security researchers in 13 globally distributed R&D centers share our elite know-how and intelligence to ensure the best round-the-clock threat intelligence. Read their expert analysis of cybersecurity news in our corporate blog and in welivesecurity.com. ESET shares its knowledge and experience of security in the broadest sense of the word. They are not just concerned with their own products, but with what they can truly do for the customer. 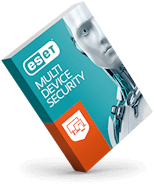 ESET has brought reliability and stability and therefore a great trust in the product to us and much peace of mind. And all of this for a price that is very cost-effective! I thought it was a given that security software installed on PCs caused slowdowns. But with ESET the difference is very clear – it runs in the background without us even noticing. ESET is a privately held company and we are not for sale. So we are not limited by ROI pressure from shareholders. The company has no debts, no loans and has stable, evenly distributed revenue streams. We have the freedom of action to do what is best for our clients. At ESET we understand enterprises have heterogeneous environments and feature parity is crucial. That's why we have outstanding coverage of different OSes - Windows, macOS, iOS, Android, Lotus Domino & Linux and customizable bundled solutions for your organization. 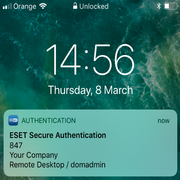 Tap into the know-how of our teams to solve the unique information security challenges your business might have and ensure you are set up for success by having the solution configured properly the first time.